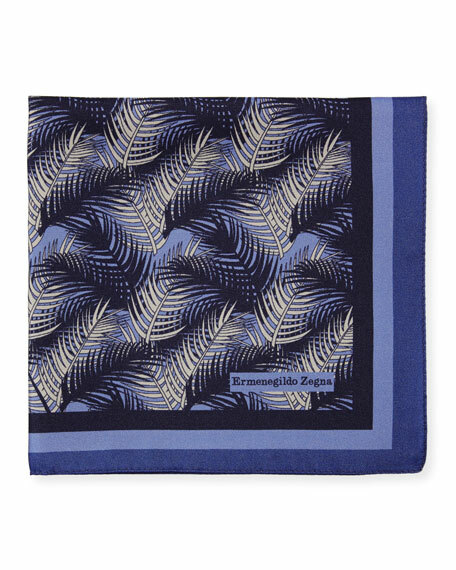 Ermenegildo Zegna pocket square with palm leaves pattern. Brioni pocket square with striated medallions Solid border with hand-rolled edges. Logo detail at corner. 11.5"L x 12"W. Silk; dry clean. Handmade in Italy.